The PURCHASE ORDER payment tool allows you to create payment forms without payment vendor integration. In other words, no actual payments will be processed. If you would like to sell your products or collect amounts and process the payment offline through check or wire transfer, use the Purchase Order payment field. Since no payment is required to submit the form, your form will work just like a normal form. 1. In the FORM BUILDER, click the ADD FORM ELEMENT button on the left side of the page. 2. 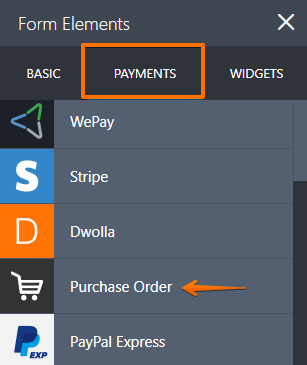 Add the PURCHASE ORDER field from the PAYMENTS tab. 3. 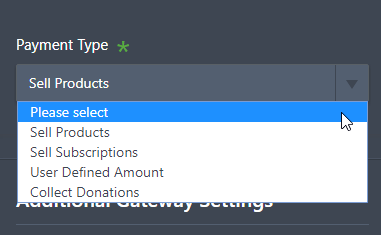 Select your PAYMENT TYPE, whether you're selling products, subscriptions, collecting custom amount or collecting donations. There are also optional features that you can enable/disable. 4. Let's create a product as an example. Continue to the next page to create a product. 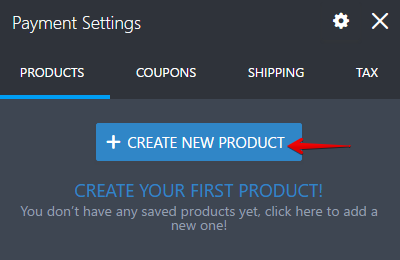 On the PRODUCTS tab, click CREATE NEW PRODUCT. Then enter the product details. You can also add product options like quantity, size, color and etc. 5. That's it! You may now publish your form. If you want to know more about Coupons, Shipping, Tax and Product Options, click them for the guides. Feel free to leave your comments and suggestions below. Okay, thank you.....but is there a way to have a paypal payment button AND a purchase order button? Thanks for the reply. Problem is I cant add Multiple quantities of the same product. It is disabled for me. the size I can add. Any help? I am using purchase order form. I have added Quantity and sizes field. 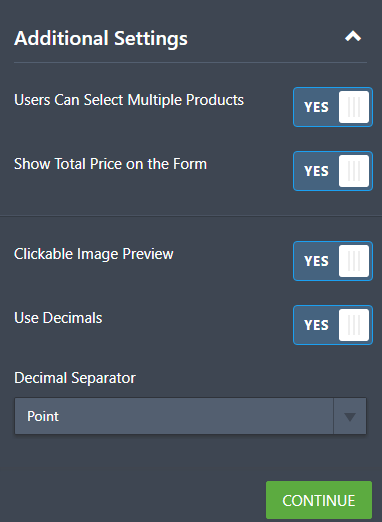 But is it possible customer can select multiple sizes and quantity for the same product? For example. if I want to buy Black Logo Tee Shirt, one S, one M, one L? I am not a business person so bear with me please. 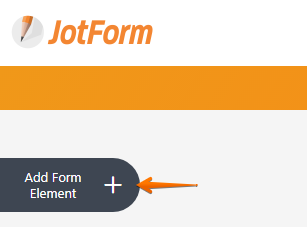 If the example purchase order form above https://www.jotform.com/72437801358964 is used, what happens after it is submitted? How does the payment get to the business owner. Does a copy of the order get get printed and sent\mailed in with the payment? We would like to include something similar to this, so that a donor can make a pledge without needing to enter their credit card number right then. However, under Payments, we have already chosen Authorize.net so that a donor can make a gift immediately; this means that Purchase Order is grayed out. We don't want to have one form just for pledges and the other form just for immediate gifts. I like the Purchase order option but I would like to enter the cost of the item because it varies. Is that possible? 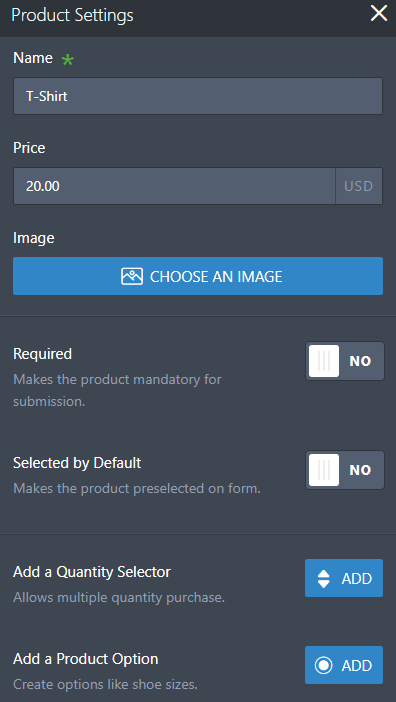 If I've already built a form with PayPal, can I switch it to a Purchase Order? What happens after / before 100 Freemails? How can reflect my currency using 2Co if it is not in the drop down menu?